Treat yourselves to the Côte d’Azur sunshine for Valentine's Day and book an amazing room in one of the most romantic hotels in Nice: the Best Western Plus Hôtel Masséna Nice! With its Belle Epoque building, city centre location, renovated rooms, romantic feel and attentive staff, count on us for your romantic Nice break and browse our restaurant and activity recommendations to experience together in Nice. You can be sure of magical moments and surprises galore! Go big and treat your other half to the best Valentine's Day ever! 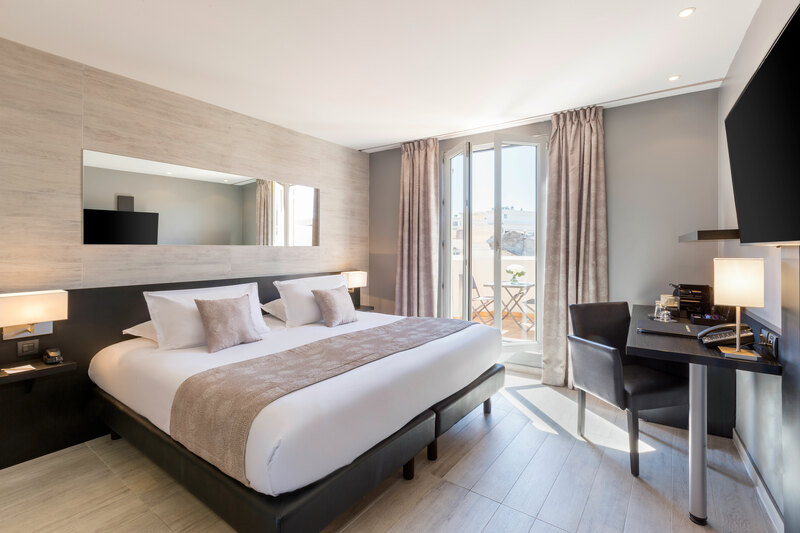 Book a luxury room at the Best Western Plus Hôtel Masséna Nice, an iconic spot in Nice with its Belle Epoque building and cool interior. The hotel is in Nice city centre just minutes from Place Masséna, Vieux-Nice and the Promenade des Anglais. The Deluxe room is ideal for a romantic weekend in Nice. The modern and contemporary room has an average surface area of 24m2, desk, mini-bar, air-conditioning, safe, flat-screen TV, free Wi-Fi, Nespresso machine, welcome tray, bathroom with bathtub, iron and ironing board. Keep cosy under the covers in a king-size bed with premium bed linen and mattress toppers by Simmons. 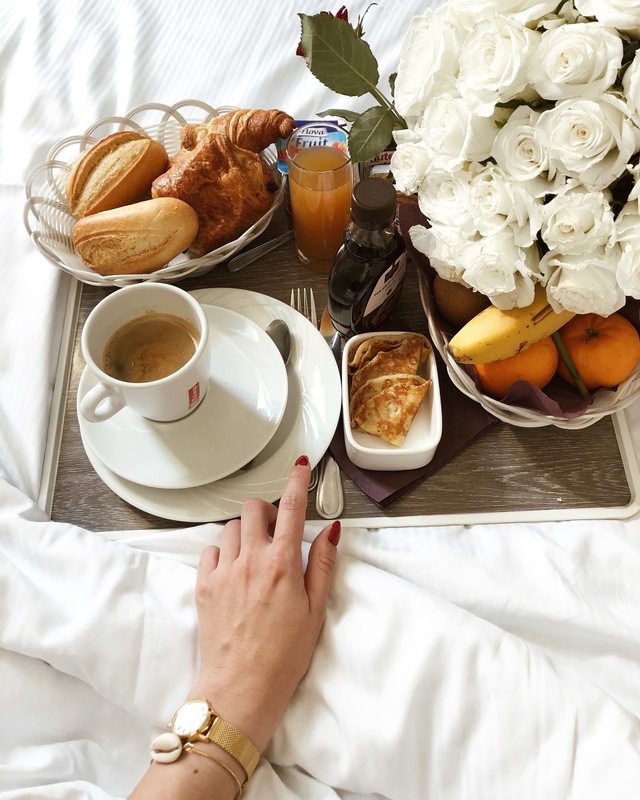 When you wake up, have a romantic breakfast in your room on the terrace* or in the ground floor breakfast room serving a vibrant sweet and savoury buffet. *Deluxe rooms have a private balcony or terrace subject to availability. The team at the Best Western Plus Hôtel Masséna Nice is here to help you plan special treats for your partner: bottle of champagne, rose petals, chocolates, fruit basket, scented candles or a couple's massage in one of the spas near the hotel. Nothing's too good for your beloved! Our 4* hotel is near several romantic restaurants such as La Maison de Marie, Le Frog in Vieux-Nice and La Réserve near Nice Port. If you'd like more addresses, ask at reception as they'll be delighted to help find the perfect eatery for you. Romantic breaks mean long walks by the sea… Gaze at the fabulous view of the Baie des Anges from Château Hill, the perfect place for a photo together as the sun sets behind you. 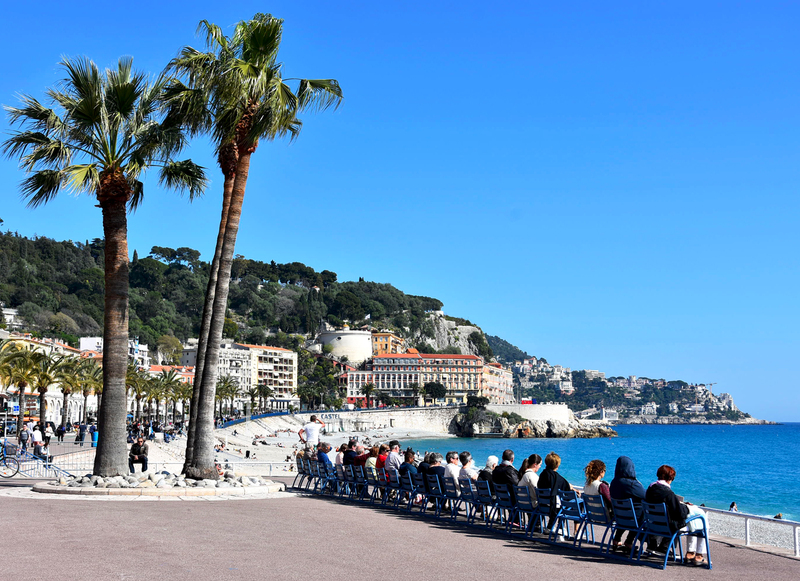 Stroll along the seafront Promenade des Anglais or visit the Temple de l’Amour north of Nice. There's still time to book your romantic stay at the Best Western Plus Hôtel Masséna Nice for Valentine's Day. Get up to 15% off your stay when you enter the code "DIRECT" when booking on the official hotel website. New in the hotel breakfast room! The Best Western Plus Hotel Masséna Nice is always innovating to surprise and delight our guests. The latest new feature is in the breakfast room with a virtual ceiling reproducing the blue sky of the French Riviera. In search of refined cuisine, a cosy setting and attentive service? 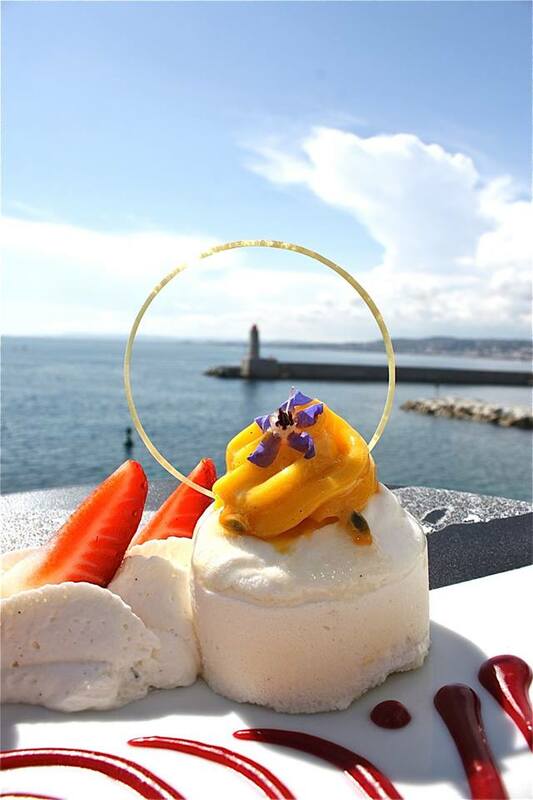 Then set off to explore French gastronomy and Mediterranean flavours with a selection of 3-star Michelin restaurants from the Best Western Plus Hotel Masséna Nice. Treat yourselves to the Côte d’Azur sunshine for Valentine's Day and book an amazing room in one of the most romantic hotels in Nice: the Best Western Plus Hôtel Masséna Nice! With its Belle Epoque building, city centre location, renovated rooms, romantic feel and attentive staff.